The world’s most exclusive resorts, each waiting to pamper you and fulfill your heart’s desires. Get away and explore the exclusive tropical islands fantasy that is the Maldives - just as you’ve always imagined them to be. 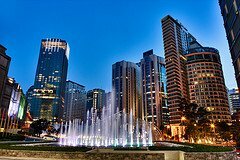 City Tour Uncover Singapore Colonial Past as you go on a guided tour of the Parliament House, Supreme Court, City Hall and a Photo stop at the Merlion Park. A guided drive through tour of Singapore busiest Financial district, Suntec City, Esplanade Theatres by the Bay and a tour of Marina Barrage where you can get a good view of the City newest reservoir that is also designed to control floods. Visitors can get a panoramic view of the entire metropolis from the top of the 165-meter Singapore Flyer. 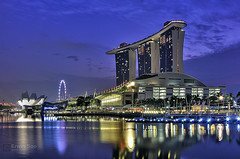 See the impressive skyline of Singapore, including the city’s landmarks like Collyer Quay, Raffles Place, The Fullerton Singapore, Esplanade, Merlion Park, Empress Place, Singapore River, Padang, Fort Canning Park and Floating Stadium. Visit the World’s most beautiful Zoos, a haven to over 3,600 mammals, birds, reptiles and some rare endangered species. Or a visit to the Jurong Bird Park, a home to more than 8,000 birds of about 600 species. Get a panoramic view of the park by riding the Panorail and enjoy the Penguin Exhibit and the All-Star Bird Show. In the night, we bring you to one of the most popular tourist attraction in Singapore, the Night Safari which houses over 100 species of animals, of which a considerable percentage are classified as threatened species. An exciting fun-filled day at the Resort World Universal Studio at Sentosa Island. 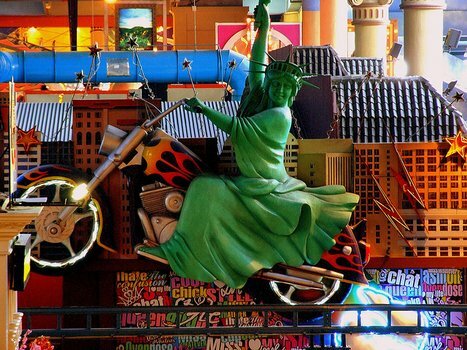 Enjoy the rides and attractions of this movie-inspired theme park. 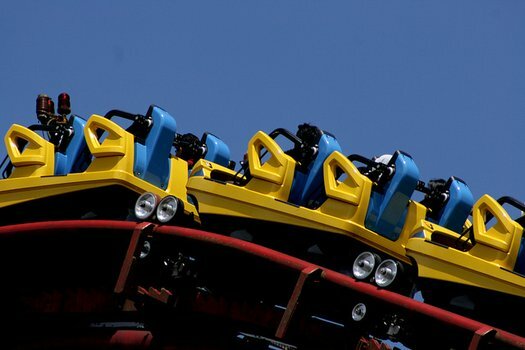 Feel the thrill while riding Battle Star Galactica, which is the world’s tallest pair of dueling roller coasters. Have fun at Jurassic Park Rapids Adventure, Madagascar: A Crate Adventure and Revenge of the Mummy. Watch death-defying stunts, explosions and thrilling actions at Waterworld and many other attractions. Include a visit to Marine Life Park™ the world’s largest oceanarium and be inspired by the myriad marine wonders of our blue planet. Featuring two world-class attractions – each promising an exclusive insight into the aquatic world, Marine Life Park™ takes you and your family on an unforgettable journey. Just 15 minutes from the city, Sentosa Island, Asia’s Favourite Playground, is home to an exciting array of Theme Attractions, Award-Winning Spa Retreats, Lush Rainforest, Golden Sandy Beach and many more, Songs of the Sea. This vibrant island resort is ideal for both the business and leisure travelers. This morning, we visit Singapore's latest attraction, Gardens By The Bay! Explore exotic flowers and adventure through the entire man-made landscape. Comprising of three main gardens domed with futuristic-looking trees and totaling up to more than a quarter of million rare plants - this is indeed an awe-inspiring new green space for our Garden City. Bring along your cameras and capture images of some of the most exotic plants around, be mesmerized by the myraid of flora and fauna! Visit the world’s first Art Science Museum at Marina Bay Sands... the Museum of Creativity, where the creative processes at the heart of art and science and their role in shaping society are explored. Moving across to Malaysia, we will visit Malacca, listed by Unesco as one of the world Heritage sites. Uncover the rich history of her past with the Portuguese, Dutch and China. A trip to modern Malaysia newest township PutraJaya and her Majestic design of the Islamic Mosque is marked as an Intelligent city that is located in the middle of the Southern Growth Corridor, which forms part of the Multimedia Super Corridor. Tour of KL Bustling City, China Town and Petronas Twin Tower. Nature and Agricultural visit will bring you to Xenzin Organic Farming, Off Shore fish farming and a Firefly River Cruise. Return back to Singapore and check in hotel. Free &amp; Easy in Singapore. • 3 star hotel : From S$ 650.00/pax based on twin/ triple sharing only. Single room surcharge apply. • 4 star hotel : From S$ 730.00/pax based on twin/triple sharing only. Single room surcharge apply. • 5 star hotel : From S$ 930.00/pax based on twin/triple sharing only. Single room surcharge apply. • The above prices are just indicative and subjected to changes based on Group size or FIT. • All prices include tax, Accommodation, Transfer to places of interest, entrance fee as indicated in the confirmed Itinerary. • Itinerary is flexible and we can customise to your needs. Pickup from the hotel at about 1300 hours for an exciting Kilas Wetlands River Safari. The scenic drives takes you through rustic towns, paddy fields and rural countryside scenery. On arrival at Kota Kilas, enjoy a Malay Hi-Tea of coffee/tea , local snacks before you board a motor boat for a river cruise in search of the elusive Proboscis Monkey, the rare silver leaf monkey . the mischievous long-tailed macaques and myriad species of birds that inhabit this unique riverine environment. As dusk falls, look-out for crocodiles lurking by the riverbanks. On a moonless night be mesmerized by the flickering lights of fireflies against the night sky. Enjoy a Malay village-style buffet dinner and immerse yourself in the sounds of nature in this rustic setting. After dinner, take the same route back to the hotel. After breakfast, transfer to Sutera Harbour Jetty for an exciting day at the beaches. Board a luxurious 40 footer catamaran and enjoy a short cruise across calm open sea to Mamutik Island. Luxuriate on the sandy beaches, swim in crystal clear water and enjoy a variety of water sports (own expenses). Snorkelling amidst myriad of exotic fishes or explore rich coral reefs on the island fringes. BBQ buffet lunch will be served at the island. Cruise back to the jetty and transfer back to hotel. Note : Although there is a high possibility of wildlife sightings due to their habit of resting or mating by the riverbanks in the evening, wildlife sightings are not guaranteed. Depart on scheduled flight from Singapore to Kuching, Malaysia. Upon arrival, meet &amp; greet by our local representative and transfer to check in to your choice of hotel. Breakfast at hotel. 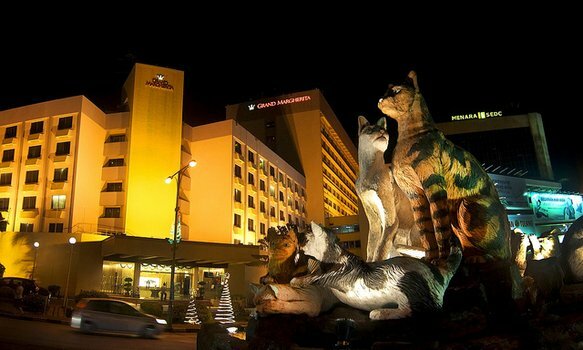 Start Kuching city tour to visit the Sarawak Museum, by passing the city centre including the Chinatown, Tua Pek Kong Chinese Temple, Main Bazaar, Waterfront and some colonial buildings, and the Old State Mosque. Continue to visit the Cat Museum on the other side of Kuching. Visit to a local coffee shop to sample local dishes such as kolo mee ( Halal &amp; non halal ), Sarawak laksa or other our local dishes. Afternoon to visit the Sarawak Cultural Village, explore around in the village and enjoy a 30-minute cultural show at 4 pm. The tour ends at 5 pm and will be transferred back to the hotel for rest. Dinner will be at your own expense. Breakfast at hotel. Depart at 0800 hrs for a 30-minute journey to Semenggoh Orang Utan Rehabilitation Centre, and a visit to a land dayak longhouse at Padawan area which is about 45 minutes from the centre. After that, transfer to the foothills of the Borneo Highland Resort which is only 5 minutes away from the longhouse. You will board the resort vehicle to the resort (about 20 minutes) and enjoy a vegetarian lunch at the resort's restaurant (serves vegetarian set lunch only). After lunch, tour around the resort which covers the Kalimantan Border Lookout point, Flower nursery, Organic farm and the garden area. This unique environmentally-friendly wellness resort emphases eco luxury wellness living. After tour, transfer back to the foothills and return to your hotel. At night, assemble at hotel lobby you will be transferred to a nearby seafood restaurant for a deluxe seafood dinner. Return to the hotel after dinner. Breakfast at hotel. 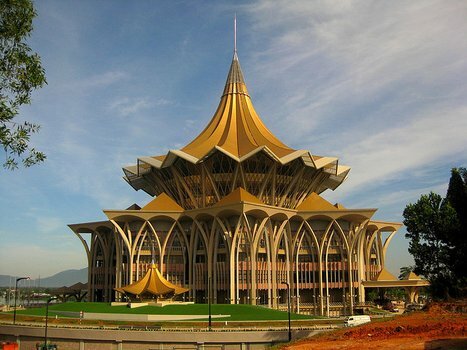 Start Kuching city tour to visit the Sarawak Museum, bypassing the city centre including the Chinatown, Tua Pek Kong Chinese Temple, Main Bazaar, Waterfront and some colonial buildings, and the old state mosque. Continue to visit the Cat Museum on the other side of Kuching. Local cuisine lunch will be served at the Budaya Restaurant located in the Sarawak Cultural Village. After lunch, explore around in the village and enjoy a 30-minute cultural show at 4 pm. The tour ends at 5 pm and will be transferred back to the hotel for rest. Dinner will be at your own expense. Free day for you to explore the main streets of Kuching city, where you can view historical buildings built during the White Rajah's era or visit the world-famous Sarawak Museum (all within walking distance from your city hotel). Note: For those staying at the Damai Beach &amp; Damai Puri Resort, the Sarawak Cultural Village is within walking distance from the resort. Note : Wildlife sightings cannot be guaranteed, however our local tour operator does enjoy a high success rate. The tour does not operate during rainy weather. For late arrivals, the Santubong Wildlife Cruise will be conducted on the 3rd day of the tour. Tour A) Temples Visit After breakfast, visit the Snake Temple, the only temple in the world that venomous pit vipers coiled around the altars and others parts of the temple. Kek Lok Si, the Temple of Supreme Bliss, one of S.E.A biggest temple. It has charmed millions with its pagodas, pavilions and the towering bronze statue of the Goddess of Mercy. Wat Chayamangkalaram, this Buddhist temple of Thai architecture houses a 33m long gold plated reclining Buddha, one of the longest in the world and Dhammikarama Burmese Temple was the first Buddhist temple in Penang. Make a brief visit to Local Product Shop to purchase native products such as the famous tau sah peah, belacan, salted fish and nutmeg products. Then, take a 10-min Trishaw Ride to New Lane Hawkers Centre, it's a wonderful way to see some of the heritage sights of Georgetown. Penang famous for it's Hawker's Delight, you may sample some of its favourite dishes such as asam laksa, char koay teow, hokkien mee, ikan bakar, satay and array of nyonya foods (own expenses). After a delightful dinner, visit the night market, Batu Ferringhi comes alive every night with the noises of the traders haggling with shoppers. You can buy here anything, from household goods to audio-visual equipments, t-shirts to fashion stuff. Most popular are the faux-designer bags and watches with branded labels like LV, Gucci. (Note: If rains, will change to shopping at the Gurney Plaza Shopping Centre). Tour B) Heritage Trail At the Pinang Peranakan Mansion, the typical home of a rich Baba of a century ago is recreated to offer glimpse of their opulent lifestyle and of their many customs and traditions. Then, visit the modest kampung house of the great Malay artiste P. Ramlee. 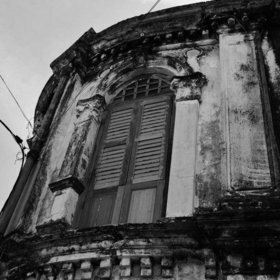 There are photographs chronicling his years in the Malay film industry and of his early life in Penang where he grew up. Fort Cornwalis is the site where Sir Francis Light first landed in 1786. Initially the fortress comprised a wooded structure till 1804, when it was reconstructed with bricks using convit labour. Today, structures inside the fort that have survived the test of time include the Christian chapel, a gunpowder magazine, cell rooms, flagstaff, harbour lights and several cannons. Visit a Local Product Shop, Trishaw Ride and Night Tour itinerary same as choice ' A '.